I made my first scientific poster for the 2007 Society for Neuroscience Annual meeting in San Diego, which is recently enough to remember just how clueless I was about creating an effective poster for a scientific conference. I was fortunate enough to have the guidance of my incredibly patient research advisor, Amherst College’s Professor Stephen George. Of course not everyone is lucky enough to have an advisor like him, and at every meeting I’ve ever been to at least one presenter shows up with a completely disorganized poster filled with cramped text, or a poster that is printed on a series of different pieces of paper. This is why I’m writing down a few things every first poster maker must know, starting with the most obvious. A poster is a mini article, presented in bullets and pictures rather than text. Don’t re-invent the wheel; start by looking at successful posters and use their formatting and style as a loose guide for what works. 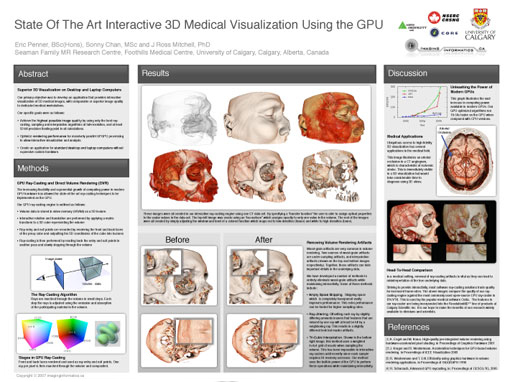 In time I hope that Cureus will become a resource for poster-makers to collaborate on poster design in addition to sharing scientific ideas. One of the most popular and basic poster tools is Microsoft PowerPoint, although many other software programs can be used as well. If using PowerPoint, make a 60 inch wide x 36 inch tall slide within the page setup menu, and use approximately font size 72 for titles and approximately font size 18 for body. Organize your poster in a way that is broken down logically to tell a story and to sell a conclusion. Many posters break the presented information into “Background”, “Methods”, etc. In general you should be able to read all of the text in a poster in less than five minutes. Prof George once told me that if my college roommates couldn’t sit still long enough to understand what my poster was about, it probably had too many details and too much text. Finally, give yourself lots of time to design your poster, even if all of your bullets and figures are ready to go. Formatting a visually attractive poster takes a lot of time.